In 1985, a small group of Memphis-based employers decided to work together to achieve cost containment, monitor quality and influence the development of a competitive healthcare market in Memphis. To accomplish this, they formed the Memphis Business Group on Health (MBGH), a 501c(3) not-for-profit organization. These founding members included FedEx, First Tennessee Bank, and Malone & Hyde. The group united to purchase hospital and physician services and other benefits with the critical mass to achieve significant savings. Since that time, the healthcare landscape has changed dramatically and many companies now contract health plans directly. MBGH has broadened its role. It now provides connections, tools and solutions that enable its members to make value-based purchasing decisions that align their benefits design with desired employee health outcomes. 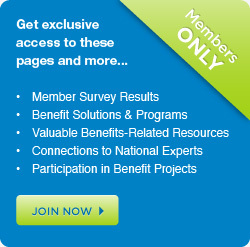 MBGH participates in eValue8 (a program of the National Business Coalition on Health (NBCH), which establishes & measures performance on purchaser expectations for health plans and other employee benefit vendors around plan administration, provider network composition, quality & efficiency of care, value of plan and vendor-provided services, employee engagement, employee health and overall employer value. MBGH is the Memphis-area Regional Roll-Out Leader for the Leapfrog Group and is responsible for working with our hospitals to publicly report on their progress in implementing strategies that have been proven to improve the quality and safety of care. MBGH also works with The Leapfrog Group, area-hospitals and health plans to promote alignment of payment with the hospital’s quality and cost performance. Get results on our Memphis-area hospitals. MBGH’s primary vehicle for collaboration in Memphis is the Healthy Memphis Common Table (HMCT), a health improvement collaborative whose mission is to mobilize Memphis to achieve excellent health for all. Membership on the Leadership Team and co-chair of the Performance Measurement & Public Reporting Work Group for HMCT’s Aligning Forces for Quality initiative. Designing and implementing consumer engagement strategies to help people use health and performance information when they are making key decisions about their health and/or healthcare services.